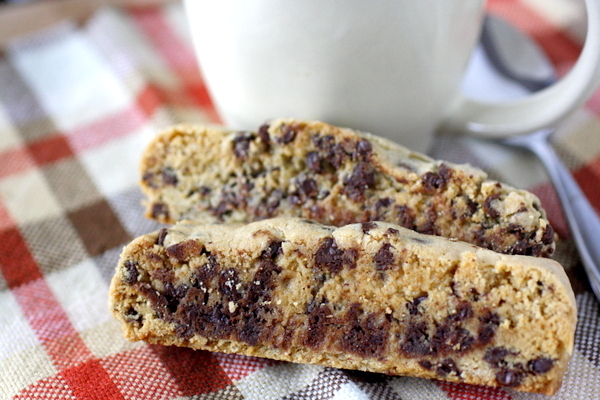 Chocolate Chip Biscotti are sweet and crunchy and perfect with a cup of coffee or hot chocolate! The kids love these as well, thanks to the chocolate. 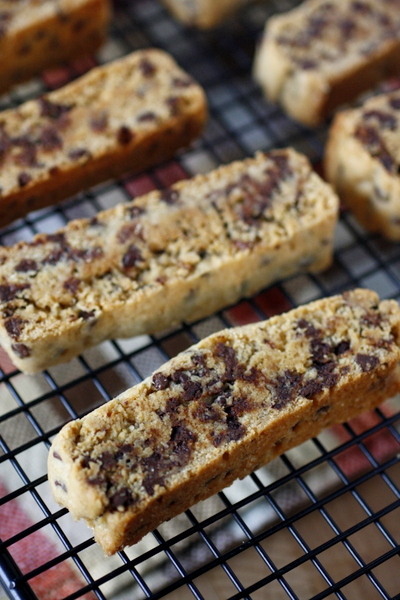 🙂 Even Mike, who isn’t a biscotti fan, says these are good! 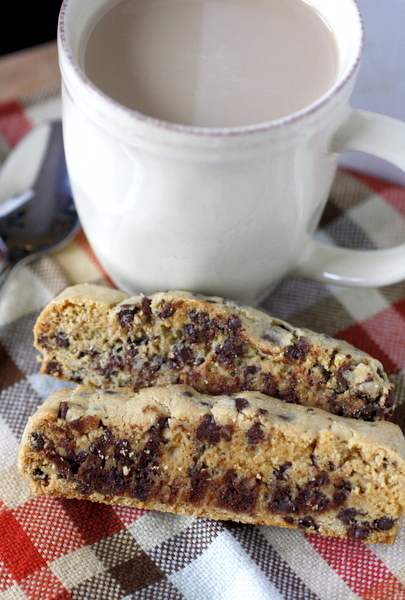 These cookies freeze well, and I’m definitely going to have to make more because our freezer stash is almost gone. 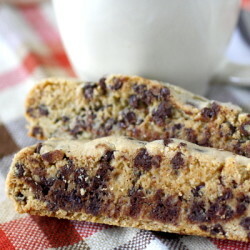 Other biscotti recipes: Chocolate Peppermint Biscotti | Turtle Biscotti | Candy Cane Biscotti | Cinnamon Sugar Biscotti| Double Chocolate Biscotti! In a large bowl combine the butter and brown sugar. Beat at medium speed 1 minute. Add eggs and vanilla, mixing until combined, about 1 minute. Add flour, baking powder and salt, mix until well combined. Shape into 2 10" x 2" logs and place on prepared baking sheet. Carefully slice logs into about ½ inch slices and place on cookie sheet. Each log will make about 18-20 slices. Bake 15 minutes. Flip slices over and bake an additional 15 minutes.